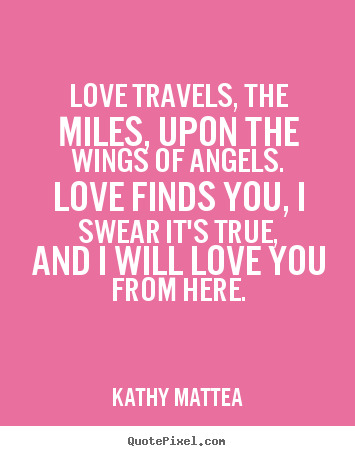 See the gallery for quotes by Kathy Mattea. You can to use those 5 images of quotes as a desktop wallpapers. You find yourself in this place where you really get to find out what you're made of, and what I found was that when I was at my time of greatest need, there were people who appeared in my life, and helped me through it. Your voice is vibrant for only a certain part of your life. There are some records I've always wanted to make, and I don't know if I want to waste this time beating on the door of the charts. That's the great paradox of living on this earth, that in the midst of great pain you can have great joy as well. If we didn't have those things we'd just be numb. I really think that's what music and art is about. It's another way to connect to the divine. It's a real pure way of touching that deeper reality beneath our life. You have to write badly to write at all. If it's crappy, I will rewrite it later. But it will be mine. You can hear the resonance of an artist who goes into herself. There's nothing more fun than sitting in a circle playing with people who are really into it. Can you blame them? We have to filter so much information these days. But it does make it difficult for an artist. I'm 46 years old now. 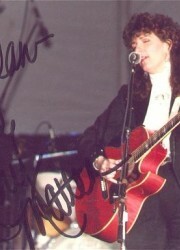 I've had a lot of life experience and my voice has changed. People who expect the same old me are bound to be disappointed. 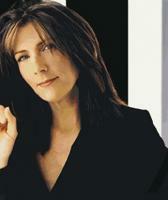 Much more quotes by Kathy Mattea below the page. I don't live in as much fear as I used to. I'm not afraid of the music business. Life is too damn short. I know what's important, and the tasks are very clear. I guess the biggest thing is that I committed to a spiritual center before I do anything else. And I put some daily things in my life into practice and I maintain that, to make sure that I don't drop the ball. I jump into the process, and the record begins to gel at some point. Then I begin to get a picture of where I'm going. But it's not always something I know on the front-end. I've come to understand my role. On some level, I provide the context for them to shine. I also know my role is the steward of the songs, and the center point, the artist that the stuff all revolves around. But I really try to honor that. If you say that you're all about a certain something, and look back and see that the choices that you've made don't reflect that, then there's something for you to look at. Or if I have my head in the results, I can't work with what I have, because I'm trying to force something to happen. And with singing, any time you force it, you tighten up. If you tighten up, you're screwed, nothing will work. So I really did stop and change what I saw I was about, and really try to put that principle into play as the center of everything - my friendships, my marriage, my career, my family, my way of being in the world. And that changed everything for me. We rob ourselves of so much by focusing on the wrong stuff. And the ability to get into the moment and deal with what is, that's the real opportunity. What is hard to remember when you're in the middle of it is that when you get through to the other side, you always walk away with a gift. If you can stand in there and not walk away from it, you get transformed by it.